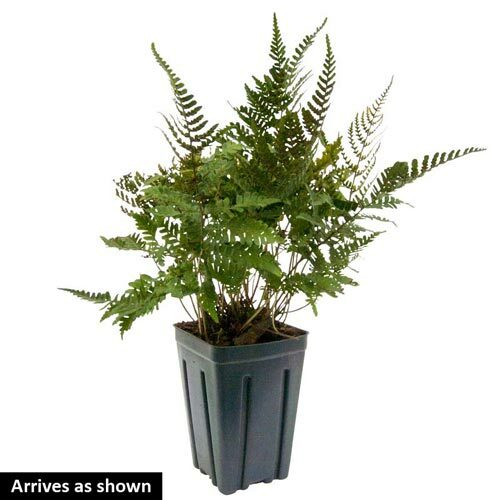 Burgundy Lace Japanese Painted Fern | Michigan Bulb Co.
A spectacular fern with ever-changing hues of burgundy and silver. Fronds first emerge in spring as a dazzling rich purple with silver accents.The foliage lightens in summer to gleaming pink-tinted silvery grey with ruby red veins; the pink overtones are a bit stronger with more light. 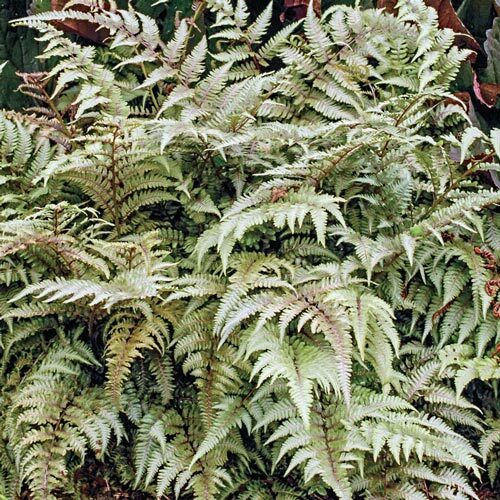 A modest 1' tall and wide, ideal for the front of a shady border or as a ground cover. It stands up to extreme weather well, too. Athyrium niponicum var. pictum 'Burgundy Lace' PP15072. Foliage TypeLance-shaped pinnate fronds with striking burgundy, pink and silver tones. Soil RequirementsWell drained, moisture retentive, humus enriched soil. Additional InformationMore pronounced leaf coloring after the second winter dormancy. Planting InstructionsShade or filtered light with good soil moisture.